As an independent writer myself and a passionate believer in the indie ethic, I have to acknowledge one of its major downsides: a real or perceived shoddiness in the final product of self-published authors. Which is where I now switch hats and replace the bohemian beret of the writer with a more conservative form of headgear: the editor’s fedora, if you like. And no, I don’t actually wear hats — it’s a metaphor, silly. When it comes to editing, I’ve noticed a surprising amount of cluelessness out there in indie land. So, in the interests of demystifying it somewhat, I came up with this post. Let’s state some obvious stuff first. 1. You need to edit your book. But now we hit the first big roadblock. Most writers are dirt poor. So what can you do? Well, you can begin with a self-edit. But wait, isn’t the standard advice never to edit your own work? Uh, yes; yes, it is. But here’s an interesting grey area if you happen not to think in stark binaries. You’re perfectly entitled to self-edit with the intention of polishing your manuscript (MS) before sending it to an editor. In fact I’d encourage it. Most editors set their rates based on the type of editing required, which they usually determine via an initial sample. If they receive a MS with major issues and inconsistencies, they’ll recommend a developmental or substantive edit, generally the most expensive service outside of a complete rewrite. If, however, the copy is relatively clean, they may settle on a proofread or a light copyedit, which will save you, the author, money. Because I’m a nice guy, I’ll even suggest an incredible book about self-editing that will help you get that novel beautifully honed before you take the next step. It’s called Self-Editing for Fiction Writers: How to Edit Yourself Into Print, by Renni Browne and Dave King. I can’t recommend it highly enough. Any other authors or editors out there with a book recommendation on self-editing or self-publishing? Look for Part 2 this Thursday, where we’ll discuss how an author might go about finding and evaluating an editor. Note: A version of this post appeared on Indies Unlimited on Dec. 3, 2013. 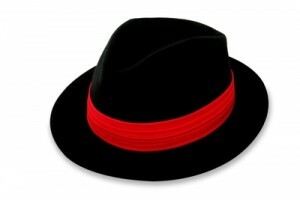 2 Responses to "The Editor’s Fedora Part 1"
Thanks for reading it, Yvonne!